Mesut Ozil and friends had the luxury of watching England’s last-16 catastrophe to Iceland having already qualified for the Euro 2016 quarter-finals with Germany. 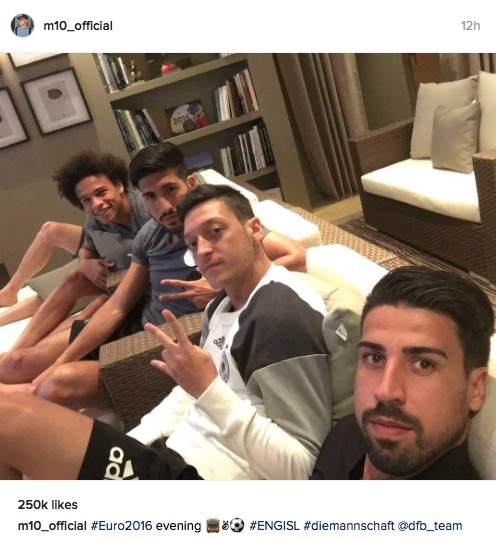 The Arsenal playmaker sat down with Liverpool favourite Emre Can, Juventus midfielder Sami Khedira and Schalke winger Leroy Sane to watch England’s 2-1 defeat. 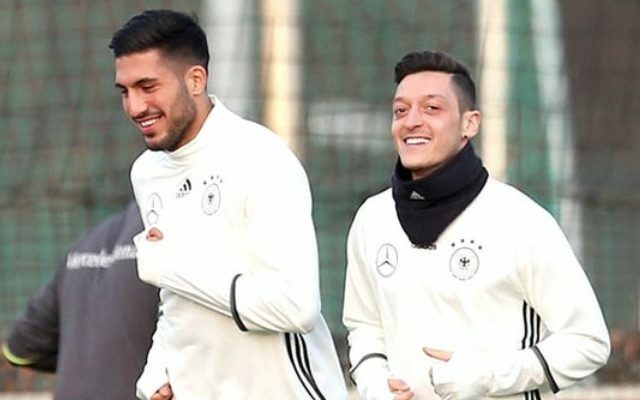 Ozil and Can could come up against Sane in the Premier League next season. The Sun reports that the 20-year-old is a £40m summer target for Pep Guardiola at Manchester City. But for now they remain teammates, and would have enjoyed watching the old enemy crash and burn last night! Germany play Italy in the quarter-finals in Bordeaux on Saturday.